Devil’s Dyke, West Sussex | Where Angells Tread! It’s check out day. We’re in Brighton to say goodbye to Sam and Kirsty and prepare the house for the builders on Monday. Boxes are piled high everywhere and the house is chaos but Sam assures me the builders will be able to get to the utility room to put in the shower. They’ve been good tenants and we’re sad to see them go. I hate the ‘compulsory fun’ of team building events…ten-pin bowling, crazy golf…the last time I was on this part of the South Downs it was for a ‘mountain biking event‘. Needless to say the fun ‘ran out’ quickly! Extroverts, consult us introverts before launching your ‘fun’ events. Our walk is a 6.3 mile circular walk (map) from the National Trust car park on Devil’s Dyke (at last some value from my National Trust membership!). We walk west along the ridge as far as Edburton Hill. On a clear day the views would be spectacular. As for most of this summer, the skies are overcast and the view slightly hazy. Nevertheless we enjoy watching the paragliders narrowly avoid wiping out on the tops of the hills. There is barely enough wind to keep them afloat! A steep descent from the Downs brings us to Edburton and we circle back through fields before arriving at the Royal Oak in Poynings in time for lunch. 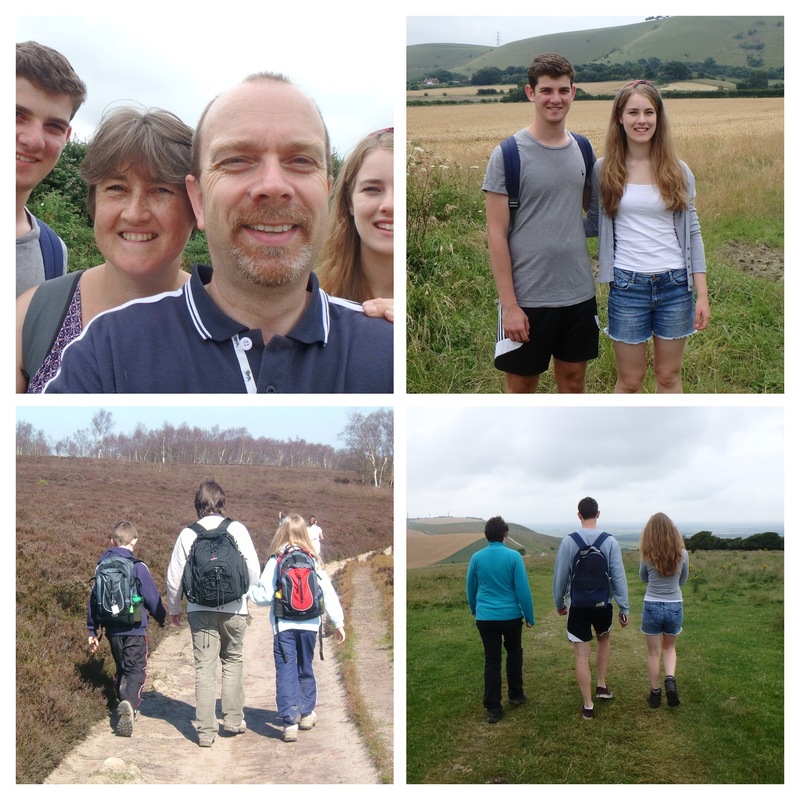 Hannah and David are with us (the photographic evidence and a rather scary comparison with a walk in the Peak District ’07). It’s a short but strenuous climb up Devil’s Dyke (total moving time 2hrs 24mins). A good walk to add to our small South Downs collection.